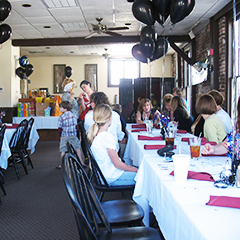 Morgan's Tavern and Grill offers a private dining experience in our Irene Room on the second floor, which is designed to accommodate parties of 10 to 36 guests. 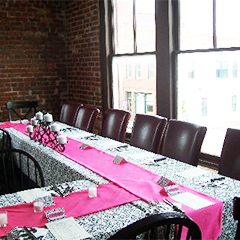 The space is often used for meetings, wedding rehearsal dinners, baby showers, and other celebrations. For detailed information or to reserve the room please call and ask to speak to a manager. 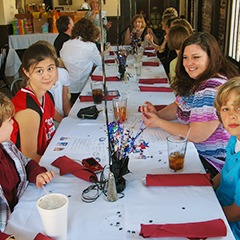 An event planner is provided for table setup, menu and drink options, dietary needs, and special arrangements. 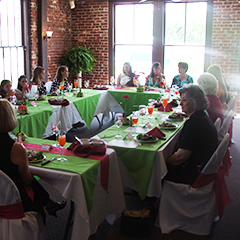 We work closely with our guests to create a tailored menu for their event. The detailed planner will go on file and you will receive a copy for your records. 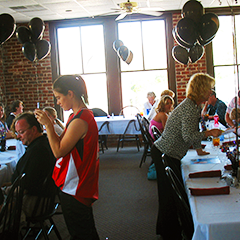 We will confirm all details 48 hours before your event to accommodate any changes. 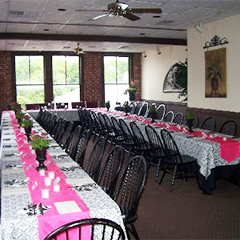 *Unfortunately, due Morgan's historic building, our private room is only accessible by stairs. There is not an elevator available. We apologize for any inconvenience.